The UK’s very highest performing construction sites were recognised this month at the Considerate Constructors Scheme’s 2018 National Site Awards. Winning a National Award is an exceptional achievement, recognising sites that have made the greatest contribution towards improving the image of construction. 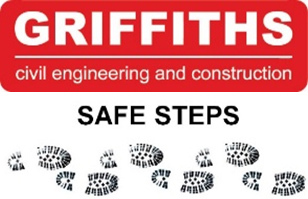 Griffiths is delighted to announce that 4 of our projects were presented with Awards. First, members of the Project Team from the A483 Newtown Bypass attended the award ceremony in Manchester and were awarded a Bronze Award in the £50m and Over category. At the London ceremony sites at Bath Quays Waterside, and Hartcliffe Way, South Gloucestershire also received Bronze Awards. The North Fringe to Hengrove Metrobus Scheme achieved a Gold Award in the £10m to <£50m category. The project scored an “Exceptional” 45/50 in both monitor audits including 10/10 in the Respecting the Community category. This was particularly impressive considering the location, the disruptive nature of the work and the level of technical complexity. The monitors commented that the site had demonstrated an outstanding commitment to improving the image of construction, achieving exemplary standards in all areas of the Code of Considerate Practice. Congratulations to our all members of the Project Teams for their contribution to achieving these prestigious Awards.